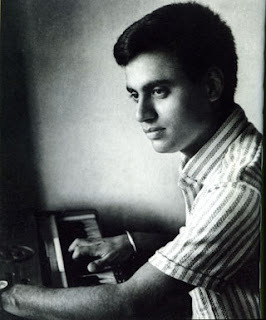 ﻿Blessed with an angel voice and realizing the gifts accorded to him, Jagjit Singh (1941-2011) paved his own path between the trees. Be it rendering a unique soft pattern to ghazals, adding depth to devotional songs and occasionally, but memorably, composing and singing for Hindi films. His entire oeuvre though was at lustrous display at his live shows, where he surprised audiences with humourous Punjabi numbers, betwixt the ghazal play list. Another creative addition was how he rendered, notably, his most popular songs with varied deft touches at each show, such that no single rendition would be the same....More celebration and stories on this songbird soon.